Kids off from school on Monday January 21 for Martin Luther King Day? Professional Baseball Instruction is running a special one-day camp for players ages 6-13 from 9 AM to 3 PM with lunch included. There will be a variety of skill areas set up on the field for their use. Players can take BP, field ground balls, catch fly balls, throw off the mounds in the bullpen. 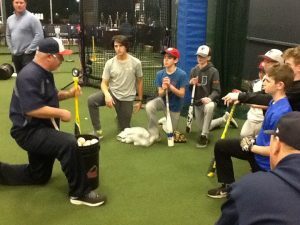 PBI coaches will work out with, assist and supervise your player at each skills area. REGISTER ONLINE or call us at 800-282-4638.